You want your diamond engagement ring to reflect the personal beauty and unique nature of your new relatinship as husband and wife. 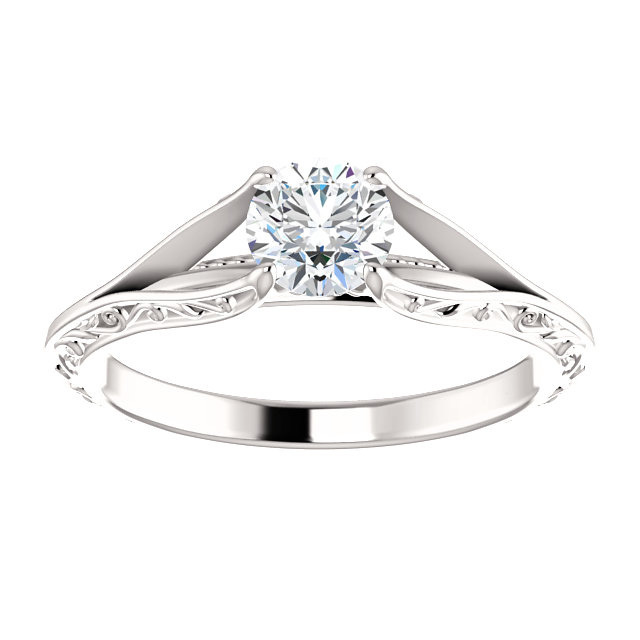 This unique scroll solitaire ring is set with a 1/2 carat diamond solitaire in 14k white gold with a creative 4-prong setting who's arm reach out to securely embrace the 0.50 carat diamond center. The 1/2 carat diamond is a quality H Color, SI2 clarity stone. The shoulder width of the engagement ring's band is 2.9mm and has a setting height of 5.9mm. 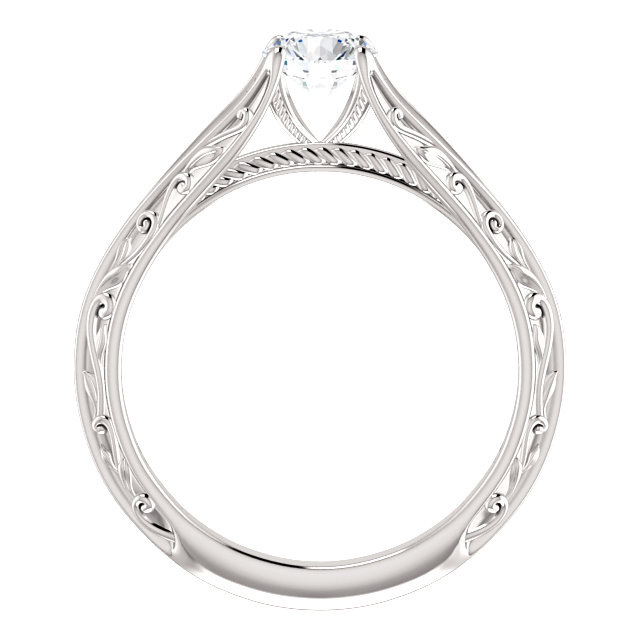 This ring is also available in platinum (shown below). 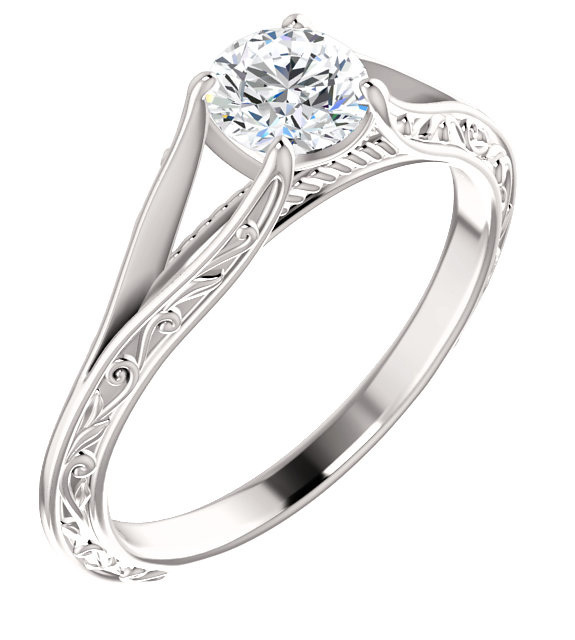 Apples of Gold Jewelry guarantees the Paisley 4-Prong Scroll Solitaire Ring in 14K White Gold to be of high quality and an authentic engagement ring with real diamonds, as described above.